I enjoyed the movie. 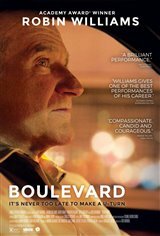 Robin Williams did his usual stellar performance. It may nit have been an exciting movie, but I believe it covered a story worth telling, that of a man living a lie most of his life & finally allowing himself to feel who he really is.... inside, much later in life. Then deciding late is better than never. I enjoyed it.